PARIS (AP) — The wife of French presidential candidate Francois Fillon is facing preliminary charges over well-paid parliamentary jobs that investigators suspect she never performed. 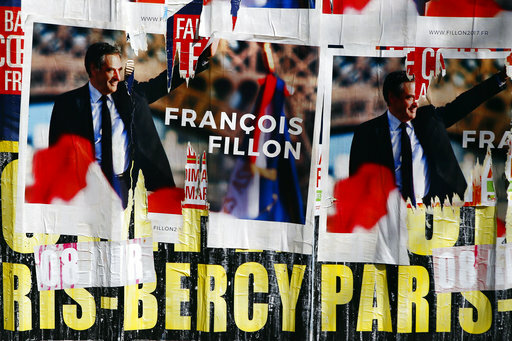 Fillon himself has already been charged in the case, which has deeply damaged the conservative candidate’s chances for the two-round election April 23 and May 7. He is suspected of embezzlement and other charges. Penelope Fillon is expected to face investigating judges Tuesday in Paris who can hand her preliminary charges in the case. The Fillons have denied wrongdoing. Francois Fillon, once the front-runner, calls the investigation a smear campaign to torpedo his presidential campaign.